Snow guards and ice guards prevent the dangerous movement of snow & ice on sloping metal roofs, which can cause damage to people, plants & property below. All traditional 25mm / 35mm standing seam metal roofs such as copper, copper alloys, zinc, stainless steel, coated aluminium, aluminium & coated steel can be accommodated. 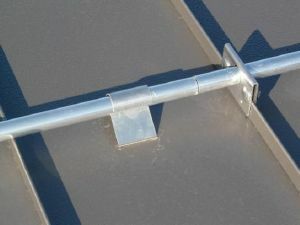 The snow guard system is easy to fix and is suitable for new installation or as a retrofit. 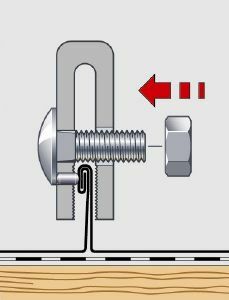 The SM Systeme snow guard clamp comes with a clever patented device that locks onto the seam once the fixing bolt is tightened.